Media at home and abroad know how find the Rompa Group. 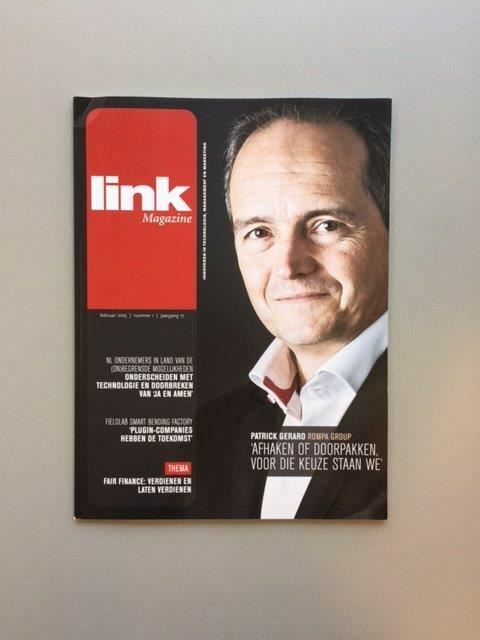 In the latest (February) edition of Link Magazine you can read an interview with our CEO, Patrick Gerard. Link Magzine (www.linkmagazine.nl) is a Dutch management magazine about contemporary forms of B2B collaborations and collaborations between companies, (semi-) government, universities and colleges. The key words are management, marketing and technology. Because collaborations often lead to renewal of products or processes, technology and innovation get much attention. Link Magazine focuses in particular on the management involved with this collaboration in the supply chain. Curious? Click on this link and read the full interview*.